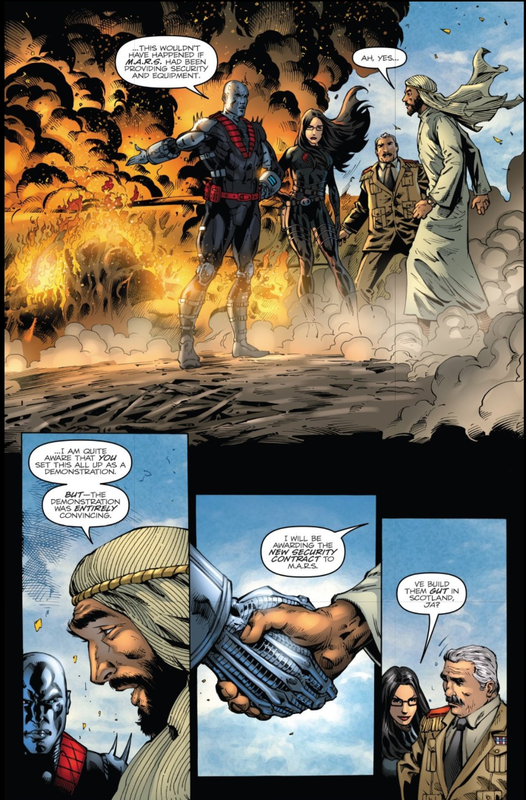 We all know I'm a big Larry Hama fan (just go through the tag on here and see how many posts are by me), but last year the Special Missions arc of GI Joe blew me away in terms of it's visual storytelling. 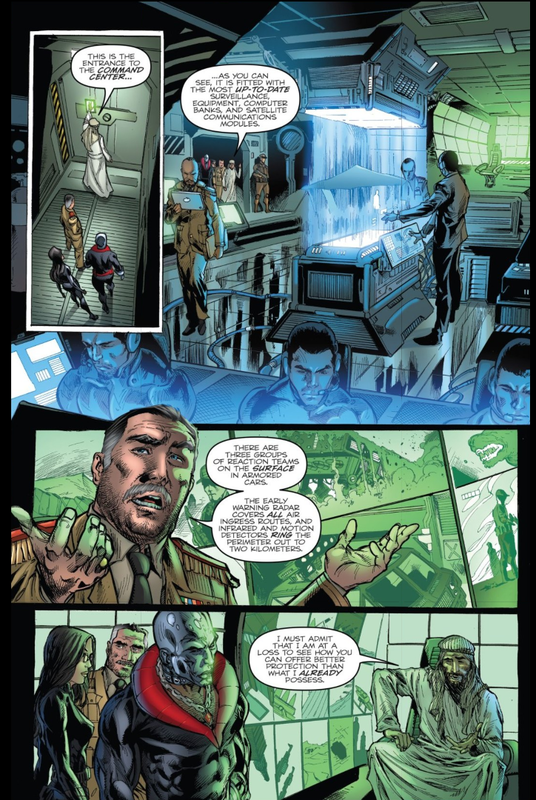 I really wanted to share Issue 252 foccusing on the Baroness, but I found I couldn't fit 1/3rd of it in a post without cheapening the visual motif of reflections, or the emtional beats, so you'll just have to take my word that it's amazing (or buy it), as are the Stalker, Duke, and Scarlett stories. All of those stories are a lot more personal and heart wrenching than this one, tales of sacrifice, heartbreak, and life altering choices. The Destro one is really just pure fun, but it's much easier post, and it certainly brings a smile. 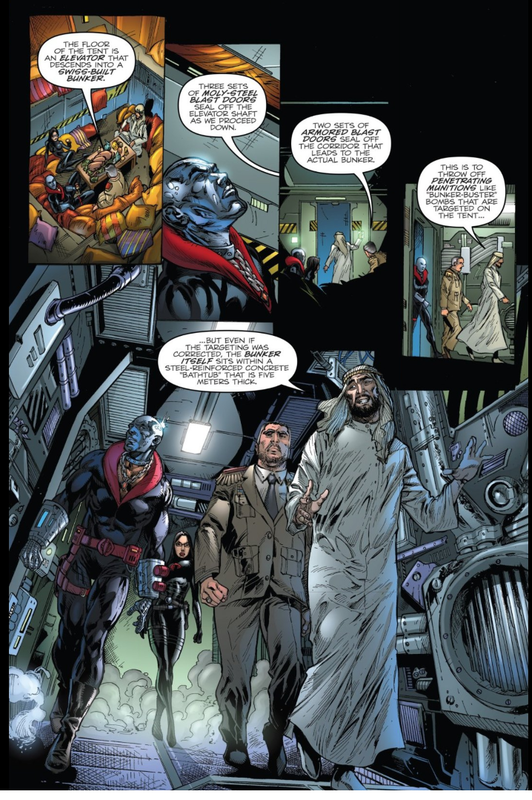 Destro has just demonstrated his really spiffy armor for a Sheik, who turns down Destro's contract offer and shows him just how defended he already is. There is a bit more talk about the perimeter defenses when the Sheik is attacked. 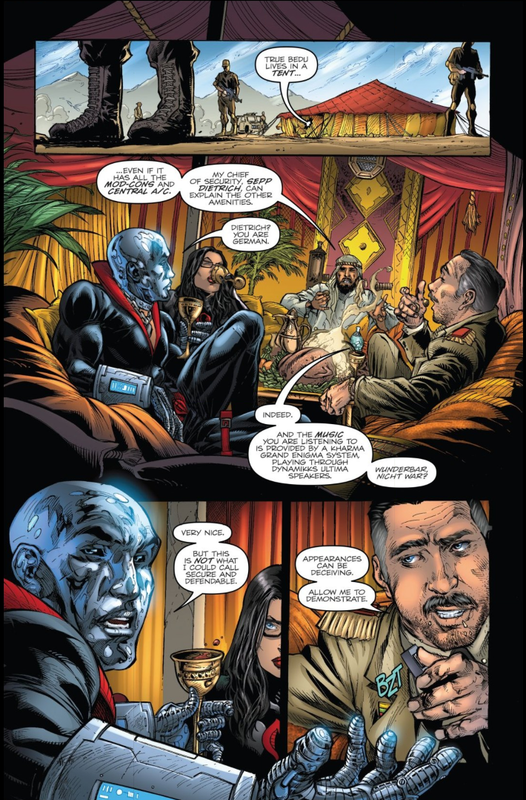 Destro and the Baroness manage to fight off the invasion almost on their own further proving how awesome Destro's armor is. Larry has said he didn't know for years what fans meant when they kept saying that to him, and he found it quite annoying. His use of it here, actually made my jaw drop and brought a smile to my face. 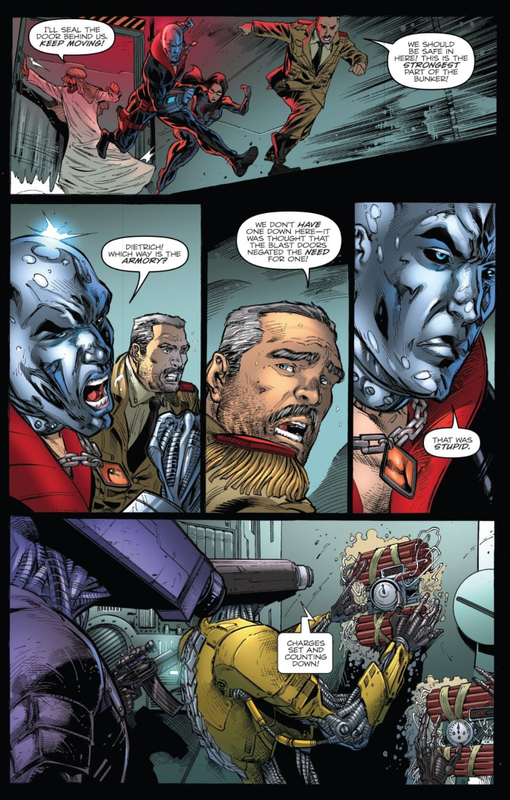 Destro wears power armor? I thought it was just a mask and gauntlets? Does this comic explain how his armor protects his seemingly exposed bare chest? I like how the first thing that he does when he gets into his escape 'copter is to replace his ridiculous collar. Like, priorities, ya know? Well the power armor here seems to be a recent invention, though CC has used something similar. And I guess the open shirt is a facade, since we see his clothes burned away in the second to last scan.